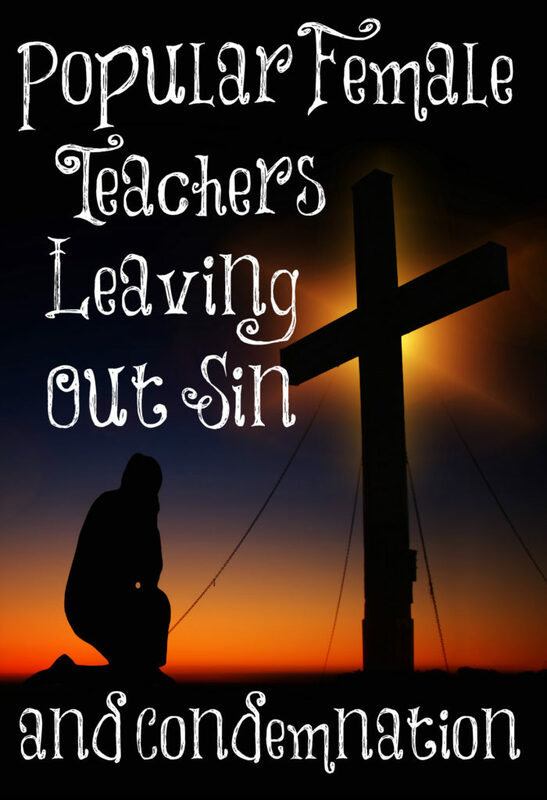 Something I have noticed with female Bible teachers and writers who have no problem teaching men in a church or auditorium is their lack of teaching about the word sin, repentance, and judgment. (Some of them do but many don’t and they still shouldn’t be teaching men regardless of what they teach.) They focus upon God’s love (which is good), feeding and helping the poor (which is important), and many other areas of the Christian walk but never mention the destruction of sin, define what sin is, tell people they need to repent from their sins, and that there will be a great judgment day where we will all be judged by Almighty God and if your name isn’t written in the Book of Life, there is eternal damnation. 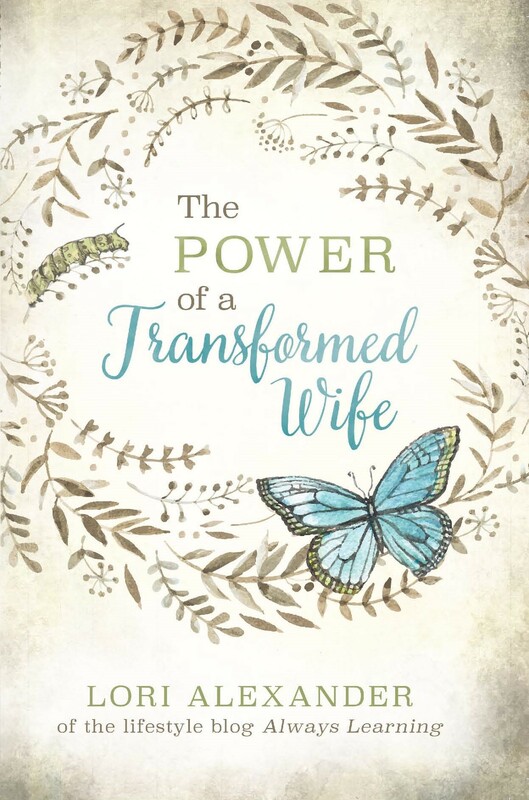 Why am I teaching this on my little old blog when my purpose is to focus upon Titus 2:3-5 (which most of those female teachers and writers never cover)? Older women are to teach younger women to be good and have discretion. In order to be good and have discretion, you must know truth and be warned against false teaching. Any one claiming to teach anything about the Word has to mention the hard things like sin, repentance, and judgment and not simply teach about God’s grace (which is amazing) and His love (which is glorious). You can’t have one without the other. I want to spend most of my time teaching and encouraging women in Titus 2:3-5. They need to be sober, love their husband and children, be good, chaste, discreet, keepers at home and live in obedience to their husband. This is important for women to know and I love teaching it. But if they don’t know about Jesus (how I love this name) and His love, grace, and their need to recognize their sin, repent from it (turn away), believe on the Lord Jesus Christ, and live in obedience to Him, the other stuff is meaningless. They can obey Titus 2:3-5 perfectly (in their mind since no one can be perfect) and still not be saved from God’s wrath to come. Imagine how much stronger the Church today would be if instead of women teaching women theology in women Bible studies, older women taught them to love and obey their husbands, how to discipline and train their children, to be sober, good, modest, discreet, chaste, and keepers at home. Marriages would be stronger, children would have self-control and act respectfully, mothers and daughters would be modest, chaste, good, and discreet, and mothers would be homemakers and enjoy the ministry the Lord blessed them with. Then on Sundays, the women go to church with their husband and children and listen to the male Pastors preaching the Word of God. What a powerful Church that would be; one that actually obeys God’s commands. The heart of any preacher not teaching sin, judgment, and accountability is that they then not be held accountable themselves: they can then be their own god [as Eve tried to fashioned in the Garden]. Rather, Isaiah 1:17 states “Learn to do well; seek judgment…” We learn to be right; that means we can be right …with effort, with a decision to choose life. To get there we must “seek judgment”: That means we must want to be correct and right enough that we want to be corrected, whether self-correcting, or by others …all to the Word of God. This is clearly not simply promoting justice for all but to desire to be corrected, to be governed, to be ruled …to resist being our own god. What is the opposite of the woman’s curse of resisting rule found in Gen3:16? It is a desire to be ruled by her husband. As a wife, do you have a zealous desire to be ruled, come what may? That is desiring God. Can you say to your husband ‘Have YOUR way with me …in ALL things!’? That is the model of marriage that Paul talks about for the church. And that is what husbands need to do with their Christ and Lord. This is how a woman ‘wins’ her errant husband to God, when needed. Desiring you husband to be ‘lord’ in your life then allows Jesus to be Lord in the church. The family was intended to be a mirror of the church, and the church a mirror of Christ’s relationship to God. Members are fully “equal” in value to their elders yet they willfully “obey those in charge of their souls” showing to the world what God desires for order and effectiveness, but also modeling the life of Christ before His Father God. The family is a microcosm of the church, where wives and children although “equal” in value, perhaps more intelligent and more capable than Dad, are to willfulness submit to His loving leadership, just as Christ submits to His Father. “Have this mind among yourselves, which is yours in Christ Jesus,a who, though he was in the form of God, did not count equality with God a thing to be grasped, but emptied himself, by taking the form of a servant…” (Phil 2:5-7). Satan did the opposite of Christ Jesus and exalted himself desiring to be like God and rule in God’s place his own domain. This same battle, unfortunately, takes place in far too many Christian homes with wives wanting to rule their own things and lives, paying no attention to the many illustrations God has given of past failures for those who rebel against God’s ways. Let’s not forget that men and husbands are also not immune to their own set of sins, for we all must live up to our God given responsibilities even if our spouses do not. For in doing so, we shine the example of Jesus for all the world to see. For he was much maligned and persecuted, and many would not follow the God of the universe, yet instead of zapping them all, He went to the cross for them, so that as many who truly believe on His name might be saved. May many of us save our spouses in the same manner as Jesus, and may the rebellious and disobedient spouses know that Jesus is watching and will render to every man and woman according to their deeds. Thank you Lord for the blood of Jesus that covers all my sins. If all our sins were forgiven at one time, what do you mean by “Jesus is watching and will render to every man and woman according to their deeds”. ? All I can tell you is what the Word of God says, “And I saw the dead, great and small, standing before the throne, and books were opened. Then another book was opened, which is the book of life. And the dead were judged by what was written in the books, according to what they had done” (Rev. 20:20). Those found in the book of life do not have their sins held against them and enter into the kingdom of God, but the Christian should not be unaware that although we will not be condemned for our sins, we may well be “storing up treasures in heaven” or when our works are tested they will be nothing more than “wood, hay and stubble” which will be burned up and worthless to God. The idea that a Christian can get into heaven without having produced any fruit is not valid. The tree that does not bear fruit proves itself to be unsaved and unworthy, “is cut down and cast into the fire” (Matt 7:19). The scriptures list the quantity of fruit to be born by the believer as 100 fold, 60 fold or 30 fold, but there is some fruit born. My understanding from the Word is that believers are judged according to their deeds, but the judgment is not hell, but for rewards. I have passed out bonuses where I work to team members and all of them get bonus every year, but some get more than others. I have even had to postpone a bonus for a staff member at times for three months to see if they will straighten up their tardiness or other actions that are detrimental to the team. Just because you work for us does not mean everyone gets the same bonus, but the bonuses are given most to those who deserve it most and earn it. It seems that God functions under the same system. I have jokingly asked my brother to please hold a room in his mansion for me because his place will be far bigger than mine. I will be happy to make it in, but far more joyful to know hear the words “Well done good and faithful servant. You have been faithful over a little; I will set you over much. Enter into the joy of your Master,” (Matt 25:23). Our faithfulness in the deeds we do here on earth will indeed be judged or how else can Christ give us these words? We are not here to squeak by and make it into heaven, but to serve our Master with pure obedience from the heart in a time we can only see Him by faith, so that when we see Him face to face there can be a big reward for our faithfulness to Him. Our sins are gone, but our deeds remain for eternity. How God does this I do not know, but heaven will be a sad place if you and I cannot talk about our deeds and exchanging this dialogue today for fellowship and the furtherance of His Kingdom. That is not what the Scriptures say, it’s just your opinion. In the first verse Jesus tells us that all who believe in Him will be saved, and he makes no prerequisite for leading a good or bad life. The reason that the thief on the cross could see Jesus in Paradise is because he believed Him, not because he lead a good life by any means. Remember, Jesus says “the hour is now here,” so these people must already be dead. Those who died before Christ came to earth will indeed be judged by their works and there works will prove out how they honored God. We understand that God progressively revealed Himself to mankind and Jesus is but the final revelation. All men are saved by faith, but it is the content of a believer’s faith that has changed through the ages. God’s requirement of what must be believed to be saved in each dispensation is based on the amount of revelation He has given mankind up to that time. Hence progressive revelation and a responsibility by mankind to honor God for who He is and trust that He is providing the perfect Lamb who will save all who believe God based on their knowledge of Him. So back to your comment, after Jesus, you and I and millions of others are now accountable for a much greater revelation in Christ Jesus and believing in Him. Is it possible that those who have never heard about Jesus are still being judged according to their knowledge of God, and how they honor Him? We simply do not know. What we do know is that salvation in these latter days since Christ is by way of believing solely in Him, and such belief will always produce fruit in the life of the true believer. It may be just a few raisins, but but there must be fruit, and Jesus gives a minimum of fruit of 30 fold in his illustration. Look at Romans 1-3 and one can see this whole theology born out. “For the wrath of God is revealed from heaven against all ungodliness and unrighteousness of men, who by their unrighteousness suppress the truth. For what can be known about God is plain to them, because God has shown it to them. (Romans 1:18-19). Then Romans 2 differentiates between those born “under the law and those without it and that each set of people will be judged differently. Sorry for the length of the response, but do some study of your own on the subject. It’s all over the Internet in many excellent places explaining that in the past living according to good deeds showed ones faith in God, even if they did not understand all of His promises or have the opportunity to believe in the Promised One. But now, no man is without excuse, and we leave the God of this world to deal justly with all men, those who have heard and not heard. But for the Christian “There is therefore now no condemnation for those who are in Christ Jesus. For the law of the Spirit of life has set you free in Christ Jesus from the law of sin and death” (Romans 8:1-2). Ken, with all due respect, you are insinuating that I hold the beliefs I do because I have not properly studied this topic like you have, which is extremely patronizing and not helpful to the conversation. I don’t assume that your beliefs differ from mine because you are ignorant; I kindly ask that you grant me the same courtesy. Sorry I haven’t been able to respond back for several days. I like to look at Matt 7:21-23. Not everyone who believes in Christ will see Heaven according to Christ himself. This is where the need for Works comes in. Only those who do the will of the father can see heaven. “Not everyone who says to me, ‘Lord, Lord,’ will enter the kingdom of heaven,* but only the one who does the will of my Father in heaven. I am not sure I even fully understand your position from your brief question above. I was just answering what I thought you were asking. The Paul says, “Believe in the Lord Jesus, and you will be saved–you and your household.” (Acts 16:31). This same theme of faith alone is found throughout scriptures with no works attached in the context. But I do see what you are getting at. The fact is that when one believes in Jesus they act upon it. Don’t get me wrong. Many can “think” they believe, but true belief always takes action and bears fruit. This is Christ’s message to us that we come to God through faith and belief, no works of our own, but then once united with Him in His death and resurrection we become the bearer of much fruit, 30, 60, 90… and more. So we are not saved by our works as you seem to imply above, but rather works proves our belief and salvation. To believe that works save us would be like saying the cart got to the farm without much effort, when in reality the cart did nothing at all but allow itself to be pulled by the horse and its master. We come to Christ by faith alone, and then we are born to good works: lots of good works that will prove someday if we are saved or not. But let’s not put the cart before the horse. Some will stand before Christ will a simple faith and not feel they produced much of any god works, yet they were faithful to be the vessel God called them to be. Others will have a laundry list of Christian accomplishments and good works, all done under their own power and many for their own pride and position in the church. Some of this latter group we are told their works will be burned up as but hay or stubble and if anything of value remains, they will prove out their salvation and belief in Jesus. The last group will be the saddest group of all. They did lots of things in the name of Jesus, but they never believed. They will be cast out away from Him for eternity, because God is not looking for our sacrifices before we first give Him our hearts. God says, “For I desire steadfast love[a] and not sacrifice, the knowledge of God rather than burnt offerings.” (Hosea 6:6) The same applies for our works if the cart is before the horse. Thank you, Summer. If one wants to teach the Word of God to anyone, they must teach the good and hard things. Recognizing our sin and need for a Savior is the most vital thing people need to hear and do in order to be saved. Without this, our teaching is meaningless. Once again, you make us all think carefully about what we do (and don’t do), and who we listen to also. Thank You! I am not a scholar nor an expert in most things, apart from running my home, but I worry when I see and hear such “feel good” teaching. I think bible teachers and ministers are too afraid to alienate others with the truth, and that is not a good thing. I have attended church services where it seems that the preachers (male or female) will do anything to avoid calling out sin for what it is. I have also been to several funerals recently where the minister quotes very generalized and flowery verses from the bible during the service. I understand why comforting words are necessary for the bereaved, but I don’t like it when the minister makes it sound like everyone who dies goes to heaven. It always makes me feel uncomfortable because the bible clearly says this is not true and I fear it’s very misleading with potential eternal consequences. (Thanks also to Ken for explaining so well something I myself have been concerned about). If we are afraid to speak all of the Truth of the Word, we don’t care about Truth but only our popularity. We are a remnant who love the Lord and want to obey Him and nothing will ever change about this. Speak and teach the Truth and allow the Lord to do with your words what He may for He is good and His ways are best.